So... You Want ROI From Your Website? Don’t give away your content for "free." Content is valuable and can increase your ROI from your website. Compelling content will help you build a successful website that meets your marketing goals. 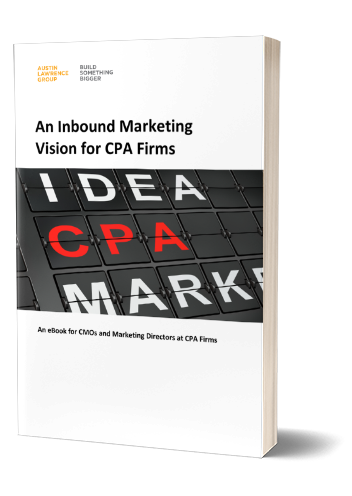 Apply the demonstration from the eBook to model ROI from Inbound Marketing programs and efficiently guide your team in CPA marketing. See firsthand the difference this model made for a CPA firm and how this very eBook brought its company to a new level. Let this eBook provide a blueprint for profitable website content marketing for your CPA firm.